EVGA announced Frostbite, a new thermal grease approved by overclocker Vince "k|ngp|n" Lucido. The paste has a silver content of over 30 percent and promises a thermal conductivity of 6.5w/m-k. Touted benefits include easy installation, high-performance for extreme overclockers and excellent thermal transfer. 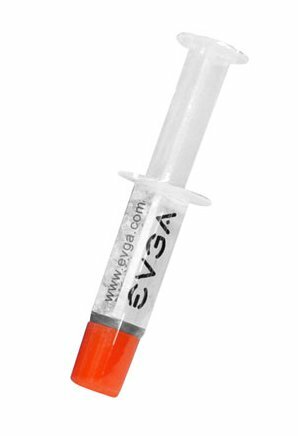 Pricing is $9.99 for a 2 gram syringe. EVGA Frostbite Thermal Grease was tested and certified to be the best on the market by the one of the top overclockers in the industry; Vince "k|ngp|n" Lucido.